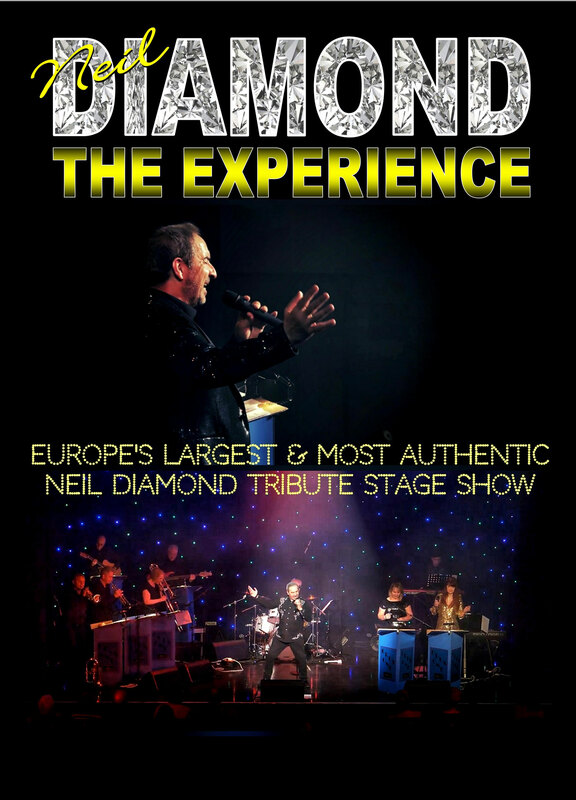 Neil Diamond, The Experience is truly an amazingly close tribute to the legendary Neil Diamond. Featuring the official UK #1 Neil Diamond tribute singer Dominic Kaye and an 11 piece band formed from the musicians of the internationally renowned Opus One band, the show is Europe's largest and most authentic tribute stage show to the singer/songwriter. Performing all of the greatest hits such as America, Forever in blue jeans, Cracklin' Rosie and more, the show guarantees to have the audience singing along and dancing in the aisles. Dominic Kaye has performed his show to numerous celebrities including Wayne Sleep, Gillian Taylforth & Jean Christophe Novelli to name a few and has been flown to Bahrain for a one night performance on no less than four separate occasions to entertain members of the Bahrain royal family and highly esteemed British members of government stationed there. This really is a show not to be missed.